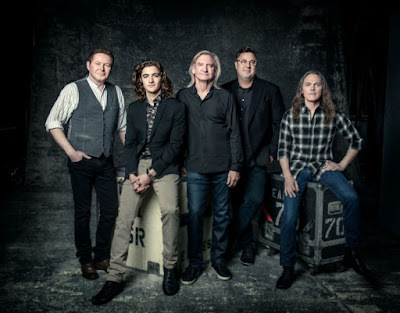 The newly-announced October 10 show will follow a sold-out performance a night earlier at the same venue as part of the group’s extensive 2018 North American tour. An American Express Card member presale will run from Tuesday, March 6 at 10 AM EST through Thursday, March 8 at 10 PM EST, with general public seats on sale Friday, March 9 at 11AM EST. The 2018 tour, which will begin March 12 in Indianapolis, IN, sees Don Henley, Joe Walsh and Timothy B. Schmit joined by the late Glenn Frey’s son, Deacon, and country star Vince Gill in the lineup following their first shows together in 2017. The 2-CD/1-Blu-ray Audio package includes remastered sound, ten previously unreleased live recordings from the era, as well as hi-res stereo and 5.1 mixes. Presented in an 11 x 11 hardbound book, the set also features rare and unseen photos, a replica tour book, and an 11 x 22 poster.